Today’s consumers rely on peer recommendation, not ads. Without a strong social presence, you’re losing business. 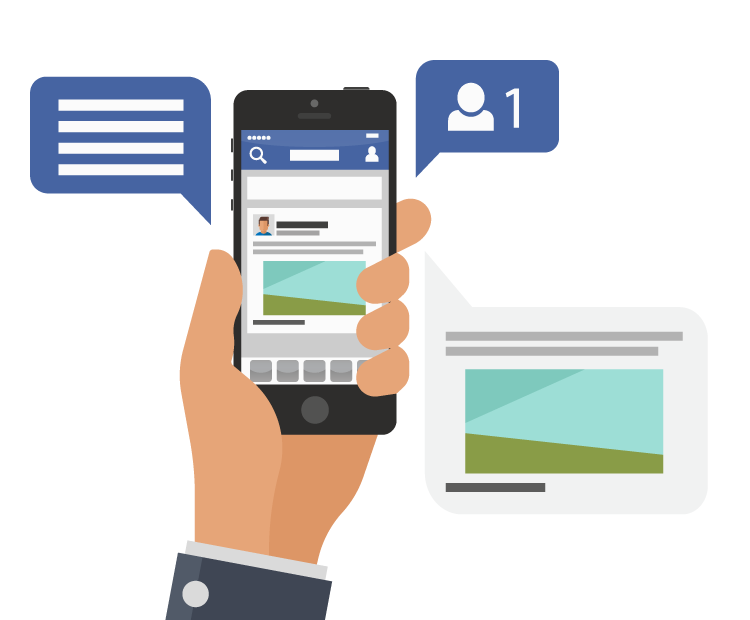 Social signals boost your visibility and indicate your brand’s value and relevancy in the eyes of consumers and search engines. We combine high-end content with engagement strategies designed to foster a loyal community of brand ambassadors. Maximize your reach and hone your sales funnel through advanced interest targeting, landing pages, and remarketing. We begin with a deep-dive competitive audit to find opportunity gaps and growth potential. 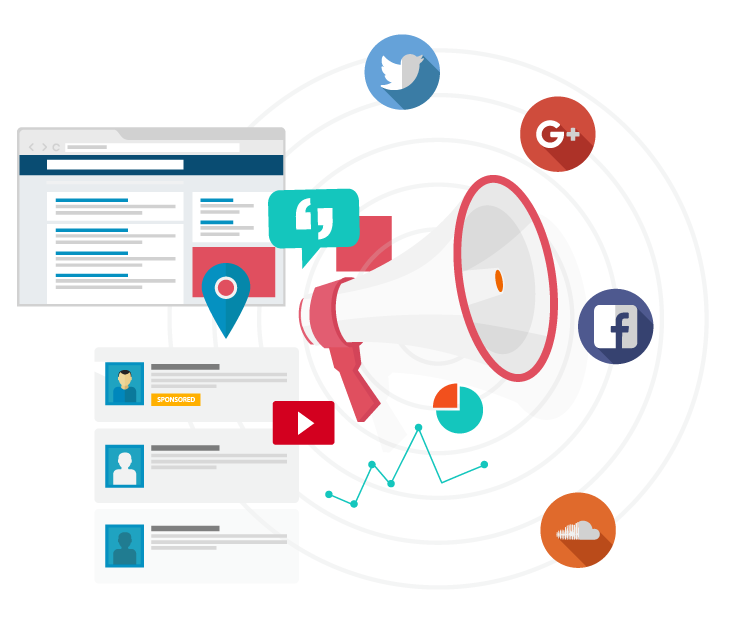 As we optimize your most viable social profiles, we create a social calendar that will capture your voice and move followers through the buying funnel. GET YOUR AUDIENCE TO WORK FOR YOU. By sharing original and curated multimedia content, we establish your authority, engage your audience, and encourage social sharing. Your followers won’t just convert; they’ll become advocates of your brand, gaining you new followers and customers. Find Your Audience, Reach More Followers. 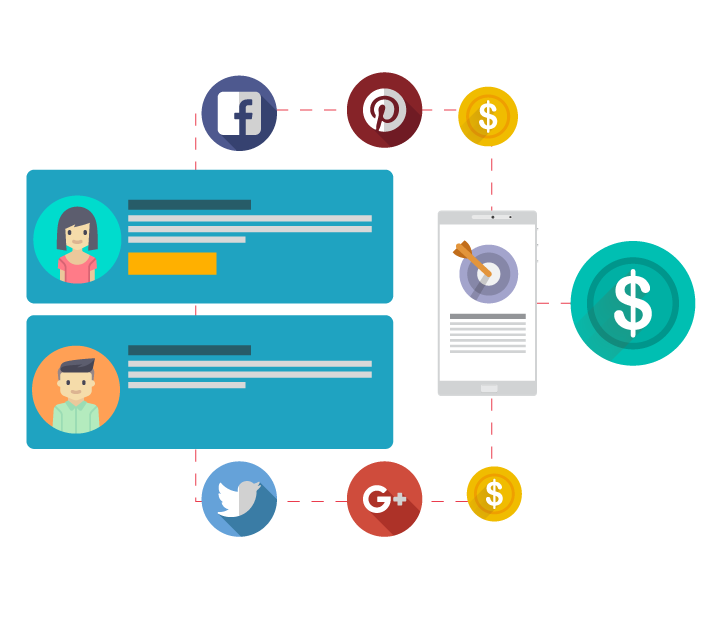 Paid social amplification is one of the best ways to improve your visibility, reach, and revenue. We use multiple in-house tools to analyze your audience and develop ads with eye-catching visuals and powerful CTAs. We work on all social media platforms, but our specialty lies in campaigns run on Facebook’s advanced interest targeting platform. We’ll structure your campaign and use psychographic research to reach your most viable audience.